Foster: Hi Folks. Foster and Kimberly here. I want to tell you a real story that might sound like a fiction thriller, but which I’m saying publicly now because I believe the evidence is strong enough now to support its validity. In addition to these BRICS developments, there is an alliance of spiritual elders (often referred to as the “Dragon Families”). They represent China, Japan, Philippines, Indonesia, and Viet Nam, at least and they are stewards of the largest off-the-book gold troves in the world. It represents most of the wealth on the planet and is sometimes called “Yamashita’s Gold”. This is fully documented in a 2005 book called “The Gold Warriors”, which we highly recommend that you read. Gold has been the most trusted medium of exchange and storehouse of wealth throughout history and we’re being told that these families want to use the vast resource, collected over centuries, to support debt relief, humanitarian projects, and transformative innovations and inventions. They apparently would be willing to provide the gold to back the dollar and keep America in the game, but the Western banking cabal needs to end their scam of creating money out of nothing and bankrupting other countries and then move to an honest, asset-backed system. We’ve also been made aware that there are many individuals in the armed services and in the intelligence agencies who are horrified at the deceptive and destructive agenda of the Washington Consensus and the military industrial complex. And they are not only unwilling to support more U.S. imperialist agendas, but are working hard and at great risk to correct the situation. In addition to The Oathkeepers and Veterans Against War, there’s a committed group who call themselves the White Hats who apparently have been brokering a pending, peaceful resolution — a deal between the Asian Elders and the Banking Cabal — and there are a lot of reports that these new negotiations are now reaching completion, though success is obviously not guaranteed. 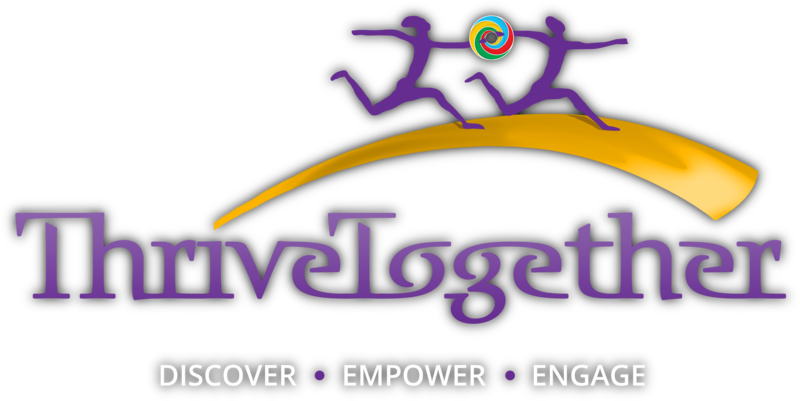 The above blog represents the kind of casual, in-process discovery we are offering in our new initiative ThriveTogether. We invite you to join live interactive events where we will explore the most leveraged solutions together. Check out Foster’s and Kimberly’s introduction.